First, having started the TMGA in January 2012, the organization has come a long way in a very short time. Thank you everyone who has helped spread the word about the TMGA, and keep up the good work! Second, we only have 22% of the total membership on the Map, and even more critically, only 70% of the TMG owners are mapped. Why is this important: (1) members interested in communicating with other reasonably close members have an idea who/where they are; (2) members who want to set up formal or informal fly-in’s know who/ where they are; and (3) if you’re traveling to another section of the country or the world, you will know who to contact to talk about our favorite subject (or perhaps get a ride). Getting mapped is easy (and rest assured, only TMGA members can access the location data, and the data will never be sold). Please go into the Member tab > Map section of the TMGA website and fill in the data (data entry link at the bottom of the page). Third, we have been successful in attracting a large, diverse group of TMG enthusiasts. Fourth, based on the written communication we’ve seen, the TMGA has been a powerful force in getting information to pilots and enthusiasts who want to learn about TMGs. all-volunteer organization can help you by expanding the information base. No general information will ever be released outside the TMGA and no individual information will ever be released to any individual or organization. The USA TMGA fifth Annual Fly-In was held July 25-28, 2013 at Minden Nevada. TMGs arrived from Florida, Arizona, Texas, California, Oregon, and Washington (plus Nevada, of course). A great time was had by all. There were the somewhat typical midsummer monsoon weather issues to contend with, but every day at Minden was flyable. The planned fly-outs to San Francisco and Bishop had to be unfortunately cancelled but did not dampen the spirit of camaraderie. We had a great Saturday night talk by Gerhard Deffner (who flew to Minden from Texas with Bob O’Dell in Bob’s Ximango) who regaled us with his trip he and his brother took from Germany to Iceland, and return, complete with a propeller repair in Iceland. Gerhard had everyone on the edge of their seats with a fantastic slide show and commentary. A special survey has been sent to those who have participated in past annual fly-ins, or expressed an interest in coming over the years. If you received this survey, please fill it out as soon as possible. In addition to looking forward to continued event improvements, one of the key issues is whether to move the Fly-In from Minden to another Western USA location for 2014. We’ll definitely be back to Minden in 2015. Please be sure to state your preferences for next year’s event in the “location” section of the survey. The California TMGA contingent held its third Harris Ranch fly-In in May, and another fly-in is being worked on for late October in Northern California. These are one-day lunch events, and are easy to set up using the power of the TMGA website for communication. It only takes one person to step up to the plate and start the ball moving in organizing a one-day, or several day, fly-in, so be that person!!!!!! This is another reason to get MAPPED . The TMGA will again participate in the Soaring Society of America’s biennial conference, this year to be held again in Reno, Nevada February 25-28, 2014. Our booth on the convention floor will be sponsored by the major TMG manufacturers: Diamond, Lambada, Pipistrel, Phoenix, and Ximango. All five organizations are great supporters of the TMGA and produce quality products. We are also submitting a TMG topic for a seminar presentation., and hopefully that will be accepted. Please consider promoting the TMG “lifestyle” at conferences and flying events in your area. It’s a great way to get the sport in front of thousands of people...and a lot of fun to do. 5. Website Updates – We continue to both de-bug the web site and add new features, including a New User Checklist and a growing collection Video Tutorials on how to use the website. Many people initially signed up without filling in their profiles or ‘opting in’ to the various community activities. Please come to the website, update your profile, subscribe to the forums and/or connect with the RSS feeds, and join us in our online community. Together we want to build an unparalleled knowledgebase to support each and promote the sport. 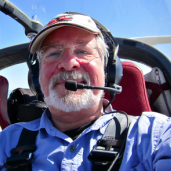 Section Leaders -- We need section leaders for each type of Touring Motor Glider and for each Global Region. Steve Sliwa, our web master, assures us that programming skills aren’t needed. But like with any community, leaders need to emerge to help keep things organized and to help point people’s passions. Knowledgebase – If you have interesting data or information that would be of use to your fellow TMGA members please navigate to ‘Add Knowledge’ in the Knowledgebase and upload the data/information/content. We also need volunteer editors who are willing to help us organize the information. Word Processing level skills are all that are needed. Photo Gallery – Photos are needed. Please collect them up and upload in the photo gallery. We just started but we already have over 300 photos and more are added each week. See video tutorial if needed. Instructors, Vendors, Suppliers, Service Providers – If you are a vendor and offer services or products to our community, please consider placing an advertisement in our classifieds section, which is free. We are committed to your prosperity as that enables you to support our community. Those with the means and are interested in more visibility we do have a couple of sponsorship slots reserved. We expect to publish a pdf document with is an indexed, well-organized version of the knowledgebase on a regular basis. We plan to develop an online tool for logging ‘airport caching’, treks, and soaring accomplishments accessible. For privacy purposes, only Members will have access to the Pilots/Owners location maps.